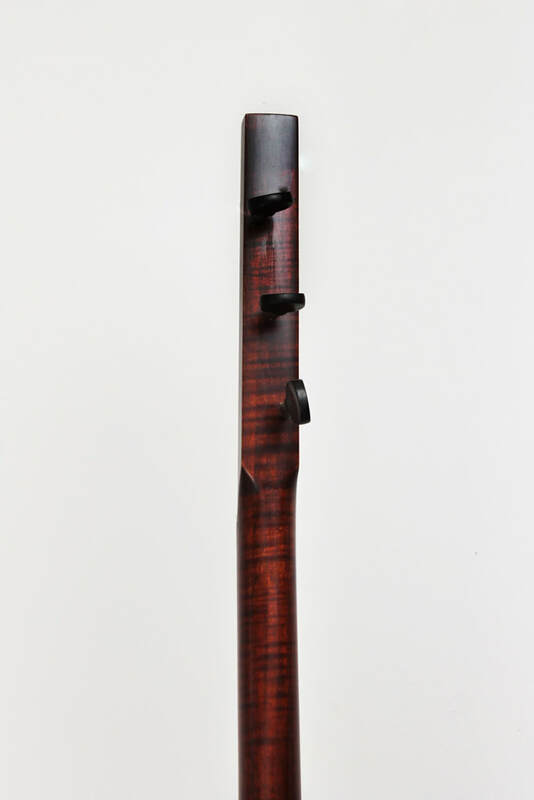 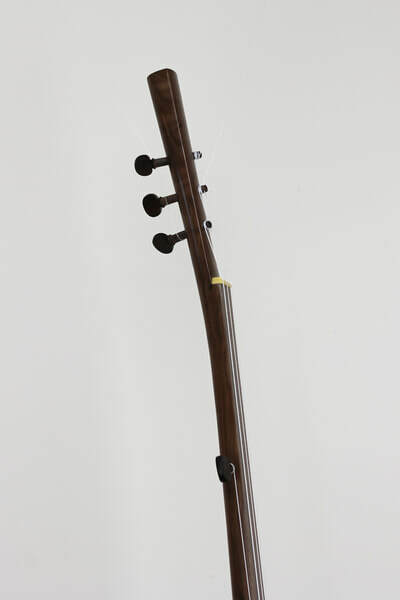 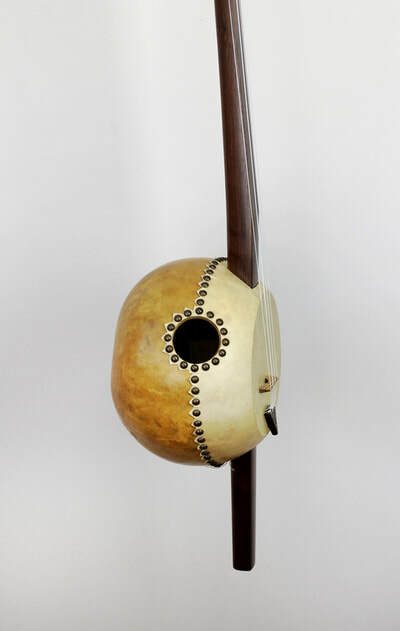 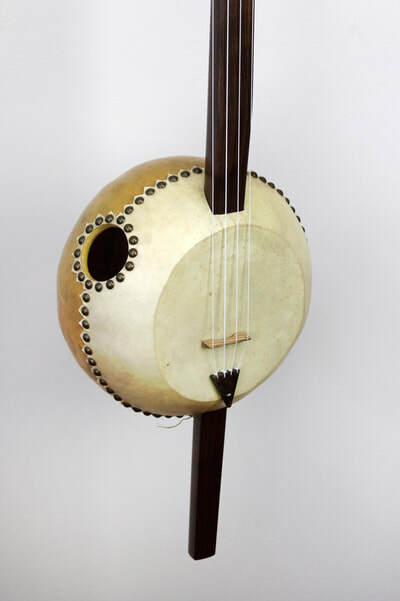 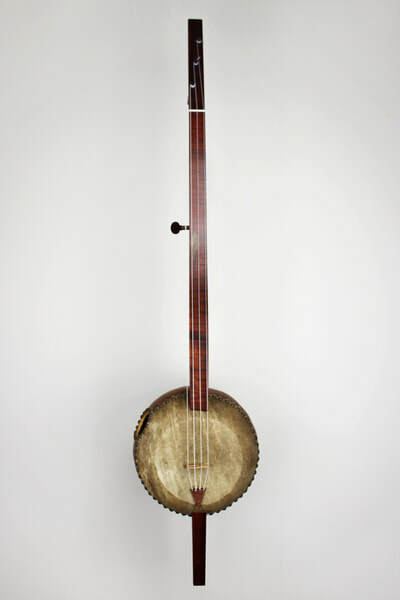 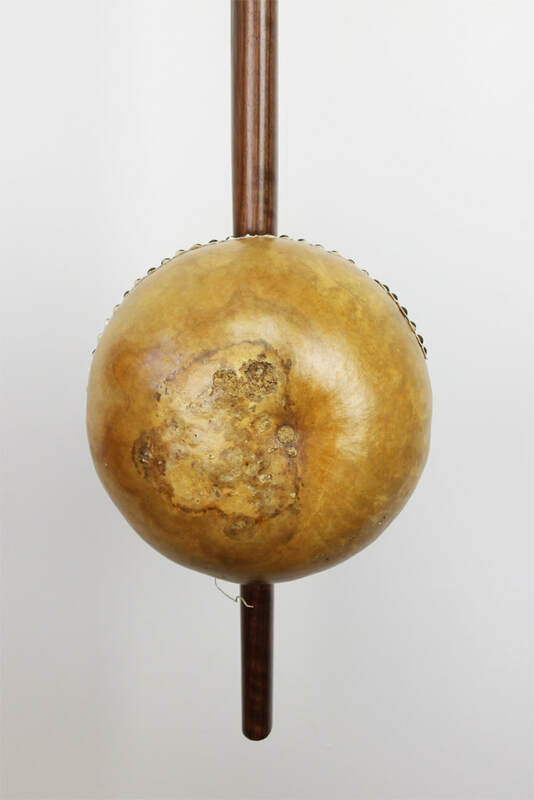 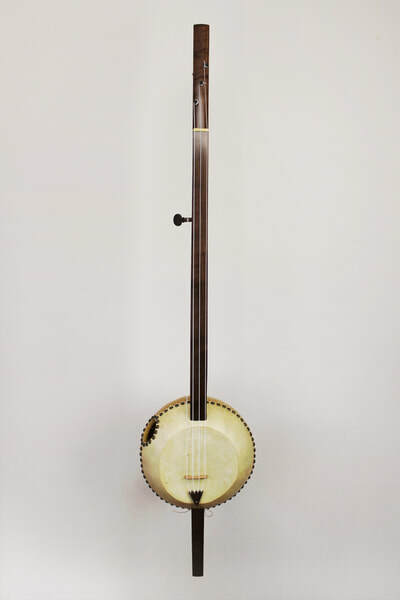 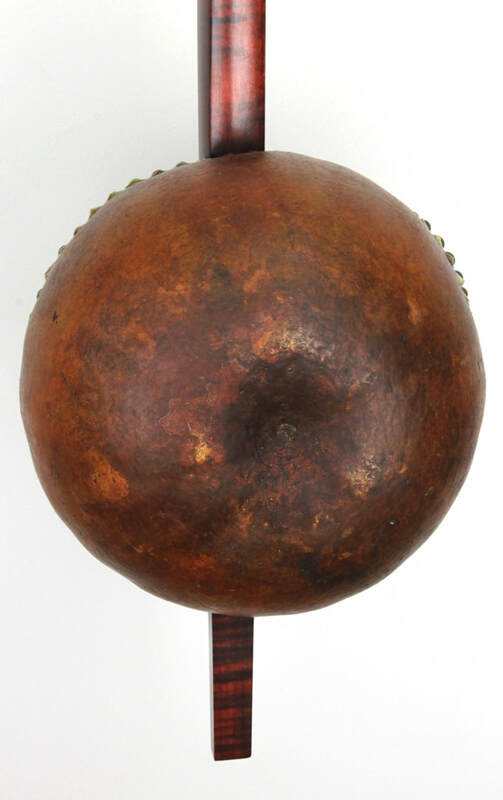 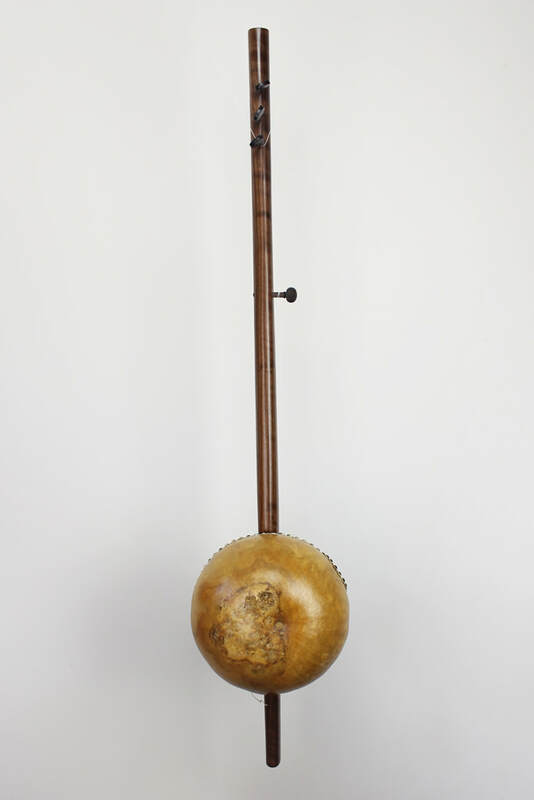 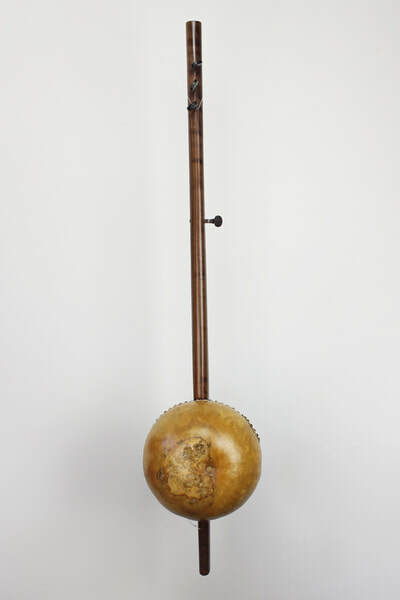 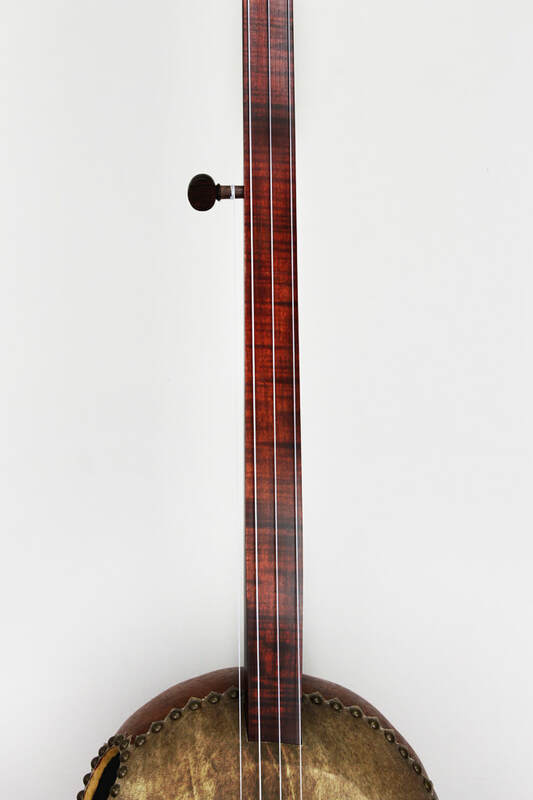 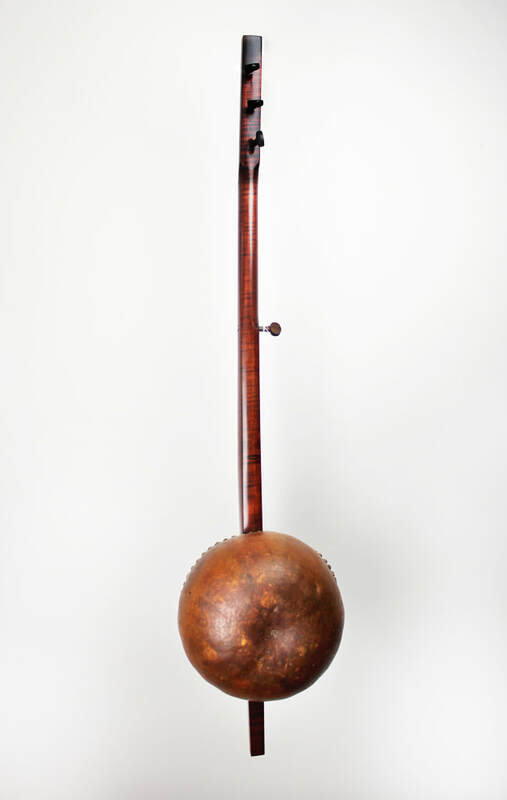 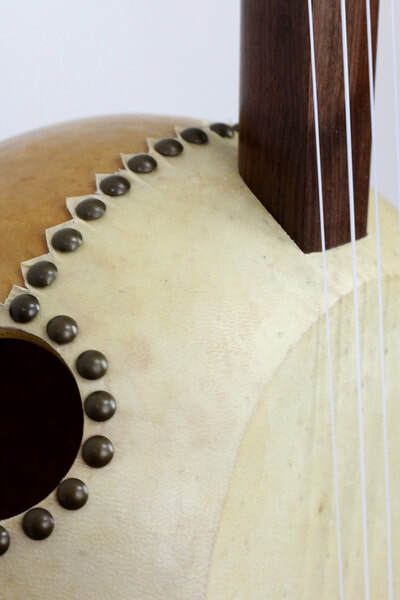 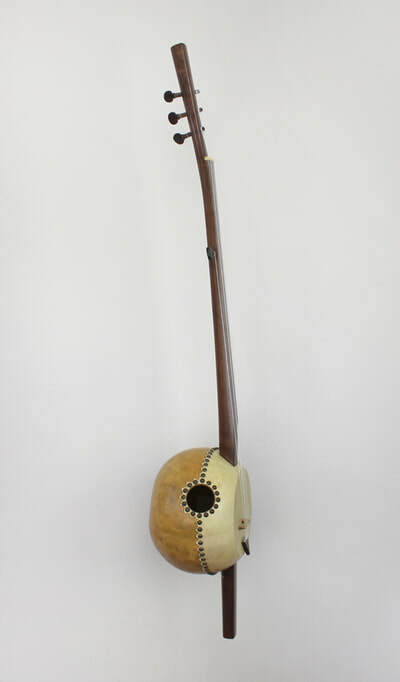 This gourd banjo was conceived for a contemporary musical settings rather than a strict historic reproduction. Fr over 20 years, Pete has continued to look for ways to improve its tone and playability after his apprenticeship with the late Scott Didlake, of Jackson, Mississippi. 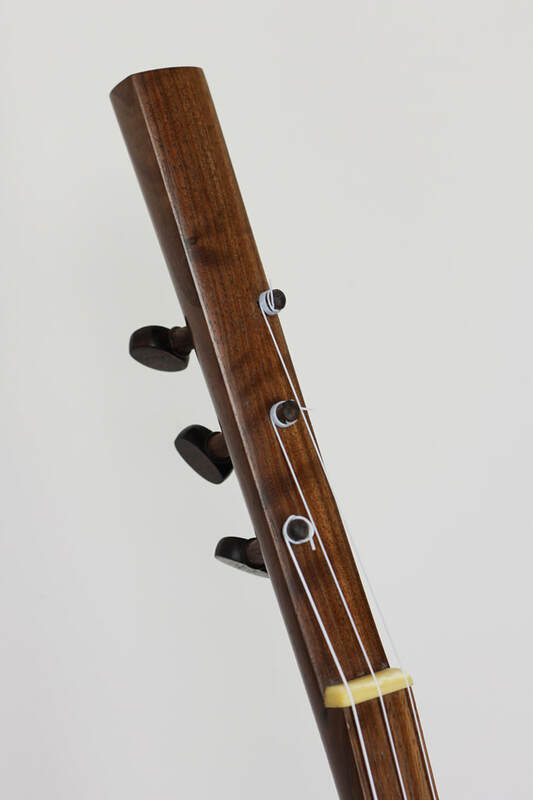 The instrument is simple in design, but endlessly variable though use of different woods, stains, and finishes; geared tuners and electric pick ups are even options. 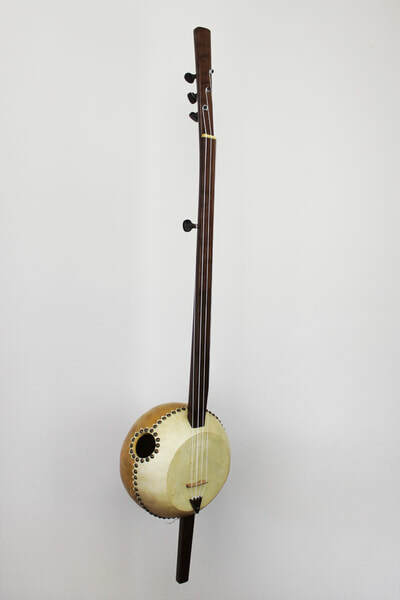 The Banza-Kat is the latest re-engineering of the Mande Banza. 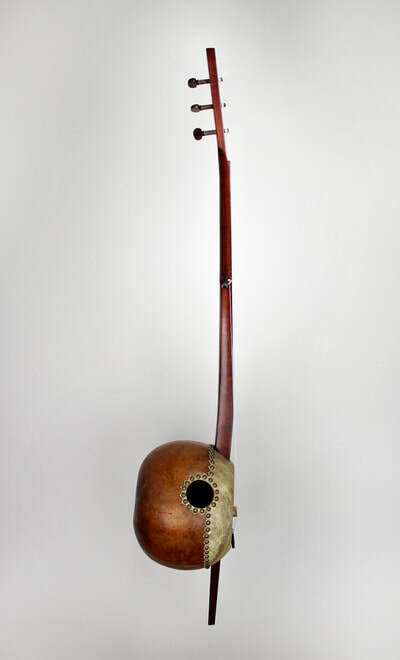 The reconfigured neck-gourd joint adds strength, while the entire neck is flatter and more stream-lined. 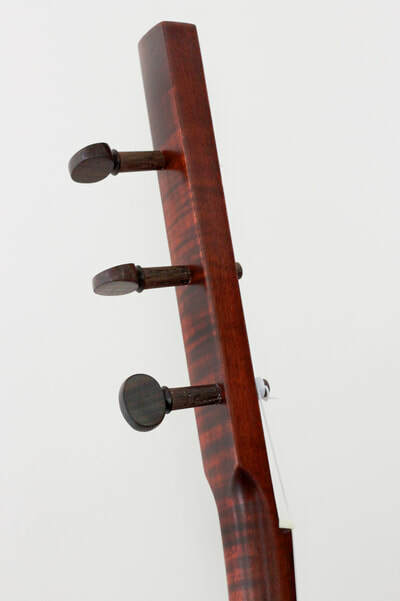 Four strings, curly maple with red-brown stain, dark goat-skin head, and dark tacks. Four strings, curly maple neck with red-brown stain, stained gourd, dark goat-skin head, and dark tacks. 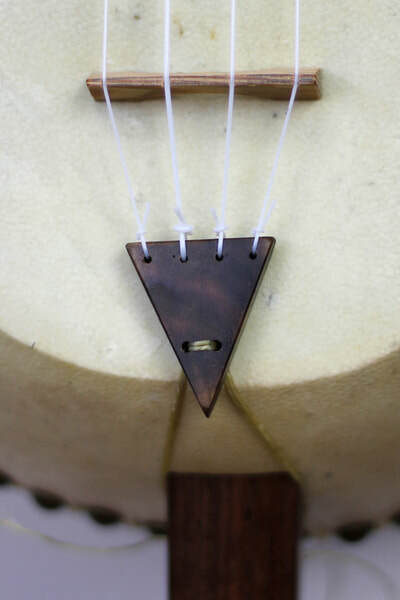 ​Click on any image above to enlarge. 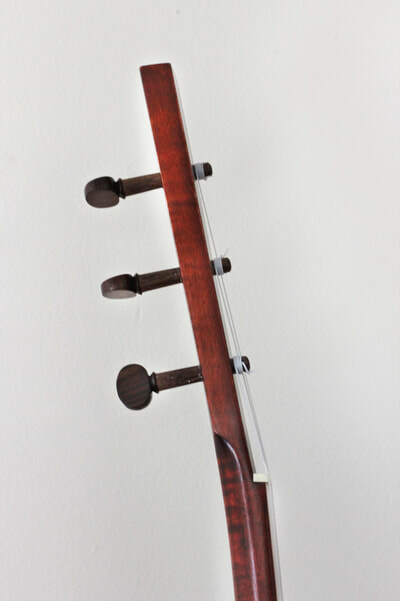 The Mande Banza is a further evolution of the instrument Pete learned to make with Scott in Mississippi. 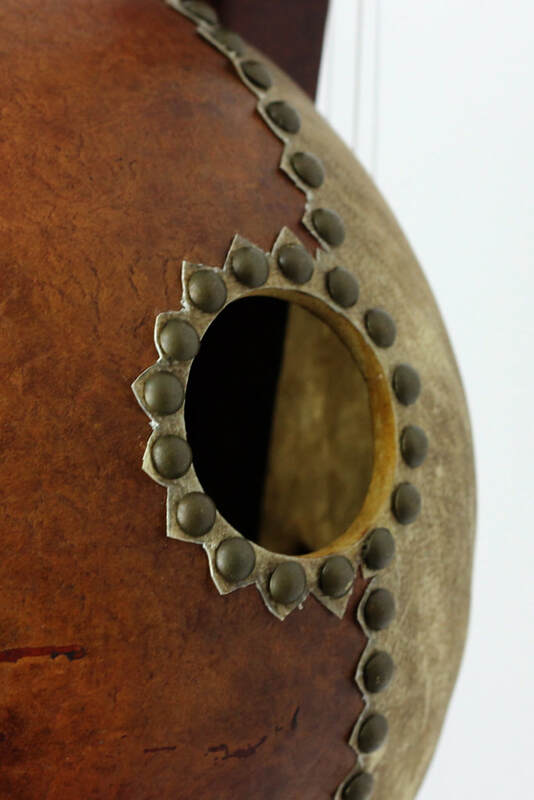 Leaving some of Scott's ideas aside, Pete has returned to the use of all natural materials and drawn from West African musical instruments for aesthetic inspiration and enhanced structural strength. 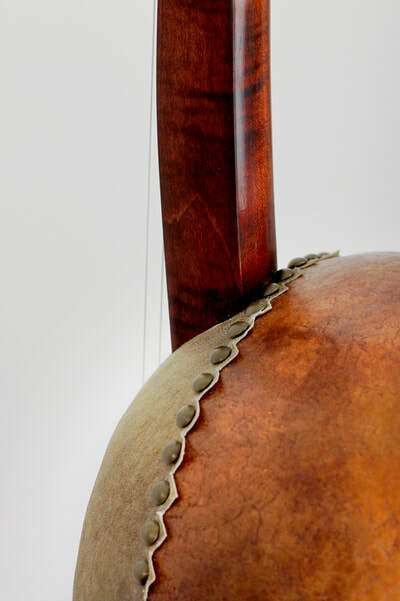 Four strings, figured walnut neck, lightly stained gourd, light goat-skin head, and dark satin tacks. 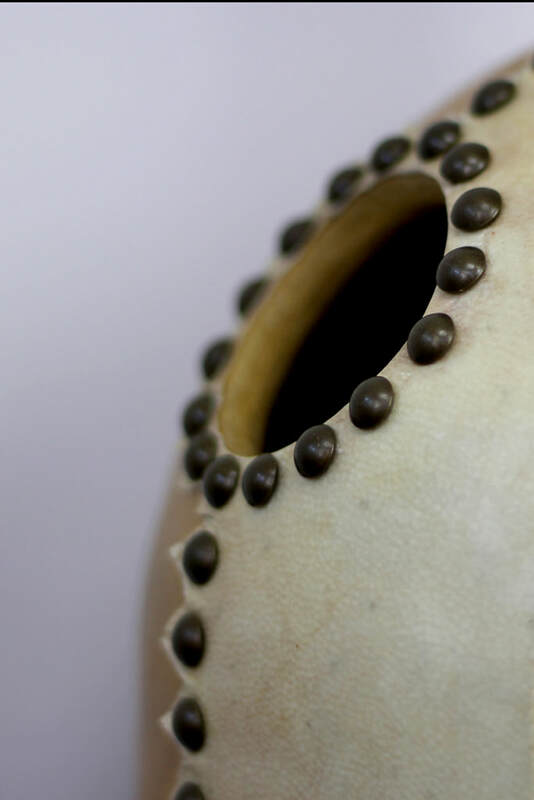 ​Click on any image above to enlarge. Curly maple with wenge fingerboard, specialized with pickup. 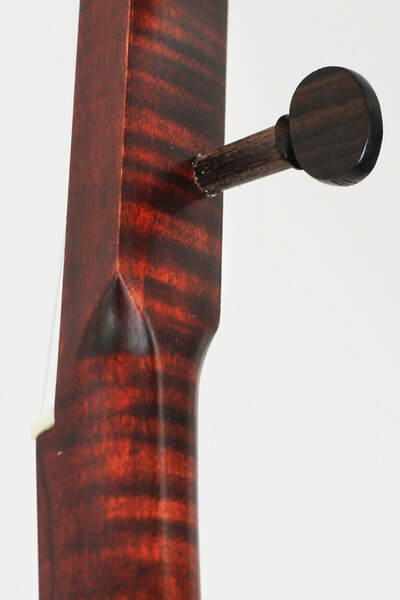 Bubinga neck with wenge fingerboard. 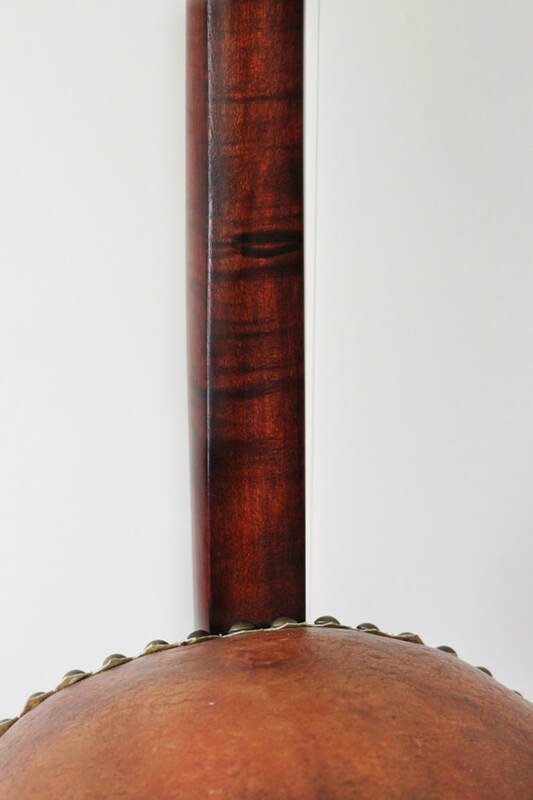 Wenge neck with bloodwood fingerboard. Wenge neck with fretted bloodwood fingerboard.